Similar to millions of other players, I bored of the summer smash Pokemon Go months other. Catching them was fun enough, but gym battles annoyed me and after my all-female protagonist month I just never went back to catching ‘em all. I did, however, go back to thinking augmented reality games were a thing of the past before they even became a thing of the present. But today, something downright magical has happened: my mind has been changed. I know, I know. Anybody that knows me at all likely just passed out in shock at the mere idea of this stubborn-as-a-mule writer was willing to change an opinion on something. Here’s the secret to why: Keita Takahashi. Takahashi is the creator of Katamari, my favourite game series about weird little characters rolling stuff up. The most recent Katamari game aside from a God-awful mobile game that Shall Not Be Named was Touch My Katamari for the PS Vita back in 2011. That means four long years without rolling stuff up, and unfortunately that isn’t changing anytime soon. However, Takahashi has created another game that seems just as kooky as Katamari but is set in the real world using some pretty nifty sensor software. Related reading: Matt may have thought Touch My Katamari was too weird — his review here. Woorld is a world hidden in the real world, accessed using Tango technology. In the video, the Lenovo Phab2 pro phone scans the room and locates the walls and the ceiling. Begin by placing one item in the room and that will lead to another, and another, until your location is filled with colourful cartoony characters and items. A sandbox mode can be unlocked, but only by completing a super-secret task that nobody is spilling the beans on quite yet. The game obviously isn’t perfect. For one, you need a Tango-enabled device and as far as I can tell that is the one Lonovo phone used in the video at this time. Actually, that’s the only reason I can deem is not wonderful at this time because apparently my iPhone 6 isn’t hip enough to hang with the cool kids. 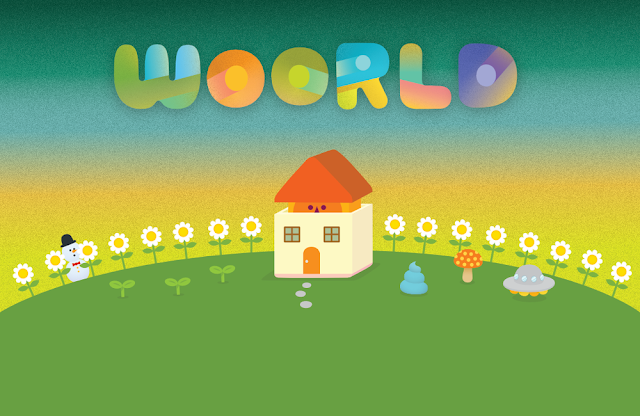 If you’re one of them (the cool kids, I mean) you’re in luck: Woorld is available for download now on Google Play!